We're just a few weeks away from the 2010 Tokyo Game Show and publishers are started to tout their wares. Professor Layton and Dragon Quest developer Level-5 is one of the first to announce its plans... and they're exciting! 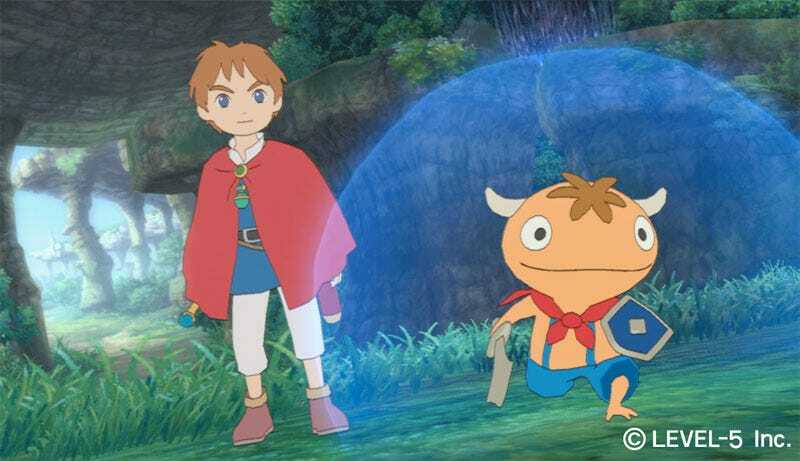 Most exciting is that its collaboration with animation experts Studio Ghibli, Ni no Kuni: The Another World, will be playable on both the PlayStation 3 and Nintendo DS at the show. Also playable at TGS '10 will be Level-5's robotic role-playing game Danbol Senki for the PSP. See? That's exciting. Here's the full (more or less) list of what Level-5 will haul to the show. That secret title is slated to be revealed by September 15, the day before Tokyo Game Show officially begins.